A practical guide to establishing positive relationships with hard-to-reach parents. 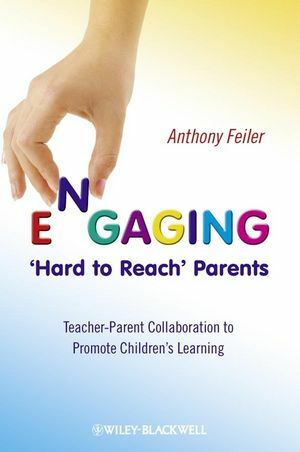 Anthony Feiler is a Reader in Education at The Graduate School of Education, University of Bristol, and was previously Head of Psychology at Bath Spa University. After teaching in a London primary school, Anthony spent fourteen years in professional practice as an educational psychologist. His research interests include teacher-parent collaboration, special educational needs and inclusive education, support strategies for disabled children and early literacy intervention. 2 Types of Engagement, Explanations and Risk Factors. 4 Successful Projects in the United Kingdom. 5 The Place of Home Visiting. 7 CreatingMore Approachable Schools and Other Settings.